With Christmas only just under six weeks away, it is the perfect time to start planning for gift ideas for family and friends. If you are fond of jewellery then I have the perfect jewellery brand for you! Jouellerie are a online jewellery brand offering a wide selection of products from Rings, Pendants, Earrings, Bracelets and Jewellery sets. They also feature other small jewellery brands such as Lisa Angel and Joma Jewellery. 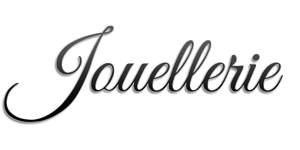 If you are on a budget this festive season and you think a jewellery piece would be the perfect gift for that certain someone, then you need to check Jouellerie out as they offer the best deals and all products are sold at affordable,discounted prices. In collaboration with Jouellerie, I was sent a lovely package of jewellery goodies to sample and feature on my blog. To my delight the package included five different jewellery sets to review including the Artemis bracelet, Crown earrings, Annabelle set, Aeliana set and Hailey set. The jewellery sets were presented in small, Black, velvet pouches and I was pleased with the overall quality of the jewellery. 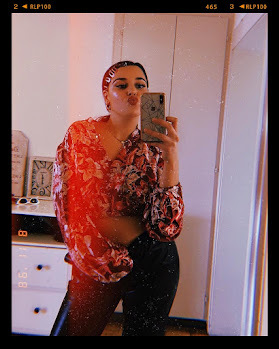 I have a certain taste when it comes to jewellery, I wear mostly Gold pieces as I think it suits me better and I love statement jewellery especially Vintage pieces. The Jouellerie pieces offered to sample, I would say wasn't my usual acquired taste as the majority of the products were Silver pieces, however I did love the charm of each product as they all have a feminim, dainty, simplistic and contemporary characteristic to them, which I know would deem popular to female shoppers. They also have a lot of diamonté bangles, earrings and necklaces for those that love to wear sparkly jewellery that's bedazzling and eye-catching! I thought it would be a nice idea to incorporate some of the Jouellerie sample pieces into my most recent #OOTD. I chose to wear the Artemis bracelet,( a thick magnetic bangle with a large encrusted heart charm) with the Hailey set, (a multi-chain charm bracelet). Wearing both sets together gives a multi-layering chain effect, which is perfect for those looking for more of a statement look when accessorising outfits. I also wore the Crown earrings with the Silver diamond earrings from the Annabelle set, as I have three ear piercings in my left ear and again wearing multiple earrings gives off a more dramatic, statement look. Even though I don't usually wear Silver jewellery, I only do when wearing clothes with a Grey/Silver colour palette, as I can't wear Gold because it would massively clash. With that in mind I chose to wear the Jouellerie silver pieces with my Grey Jacquard knitted jumper and Silver silk peplum skirt, both from H&M worn with my Black, suede, sock boots from ZARA. I personally thought that the Jouellerie jewellery coordinated really nicely with this outfit of choice. What do you think?